Actually, there are many people who achieve to finish college and become professionals in their home country but unfortunately cannot find good employment options that guarantee a good quality of life and the stability they expect. That is why many professionals choose to migrate to countries where they can find better job opportunities. 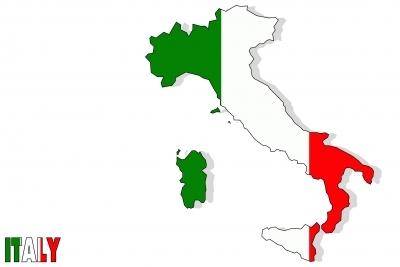 One of these countries is Italy and like any foreign nation it requires compliance with certain requirements in order to pursue a profession in its territory, which vary according to the nationality of the applicant and the level of education. Then we are going to tell you about the requirements to work in Italy and further to practice your profession in this nation. – Valid passport from the European Community. – Fluent Italian at all levels. – Have a professional title. – Do not have any history with the law. If the professional who applies for a job in Italy does not have any work experience you need to be trained for at least six months by the same company in which he will work. Requirements for foreigners of other nationalities. They differ from the previous and it includes all professionals who come from nations outside the European Community, mostly Latin American, and although those requirements may vary according to the nationality of the person involved. You can view your special situation at the Italian embassy in your country. – Have a valid passport. – Mastering the Italian at all levels. – Have a professional title endorsed. – Having more than one year experience working. – Have a job offer from a company in Italy. – Have a profession that is required at that time by the Italian nation. The agency responsible for endorsing the Italian language proficiency of applicants is the Italian embassy. This examination consists of a written and an interview conducted by qualified personnel. Work experience must be demonstrated by documents that are approved by the ministry of labor or its equivalent in the country from which the applicant. It must have at least a Bachelor’s degree in order to pursue a profession in Italy, some professions require to upgrade studies at universities in Italy, prior to beginning work. In the case that the career to be exercised in Italy is one of those required by the Italian government it will not be necessary to update. Despite this if the company deems it necessary; it must go through a training process. Once all the formalities are completed, the applicant may arrange a work visa which will take according to the procedures of each embassy; it usually takes a week for the requirements to be completed.